Hot water, coffee, filters, and something to pour your water. Pour-over scale, burr grinder, and gooseneck kettle. We recommend 25g of coffee or 3.5 tbsp for this brew method. 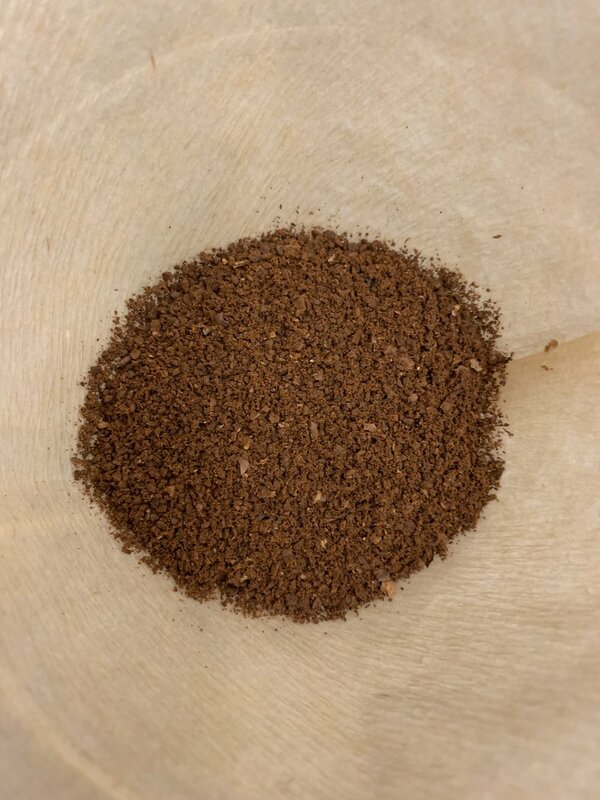 Set your grinder to medium-coarse and grind your coffee. Your grounds should appear a little coarser than table salt. Wet your filter with hot water. This cleans your filter, removing any residual paper taste. Place your coffee in the brewer and ensure that you have a level bed of coffee. Pour just enough water to fully saturate your grounds bed (about 50-75g if you are keeping track) and give it a quick stir. Let the coffee “bloom” for about 30 seconds. This allows all remaining gases from the roasting process to release, and it serves as a good indicator of coffee freshness. Pour water aggressively up to about 100g of water, incorporating all the grounds into the brew. Next, pour in concentric circles up to roughly 200g of water. Wait 20-40 seconds, and then continue pouring the rest of your water (up to 400g) in concentric circles. Step 5. Remove filter and drink your masterpiece. Once all the water has passed through the filter, carefully remove it from the brewer. Holding the wooden collar, pour your coffee into a mug and enjoy! DISCLAIMER: Coffee is hot. Don’t burn yourself please.